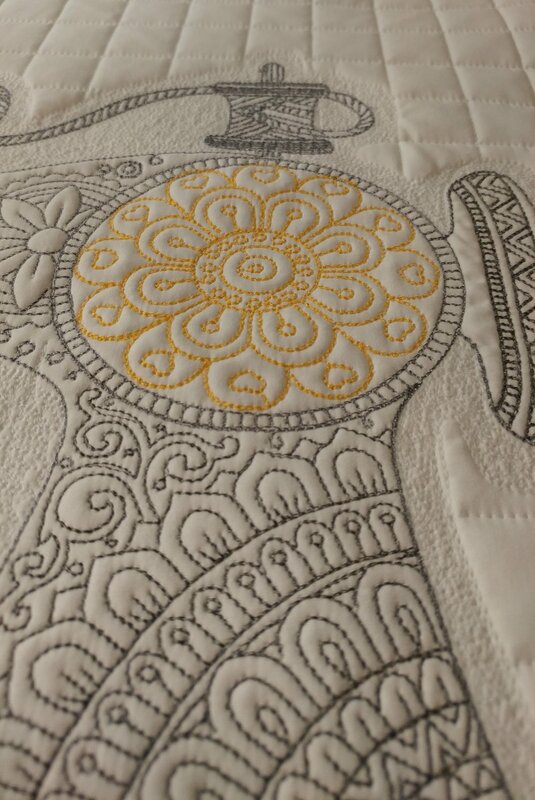 When I saw the pattern for the popular White Chocolate Quilt, I just knew I had to make one. 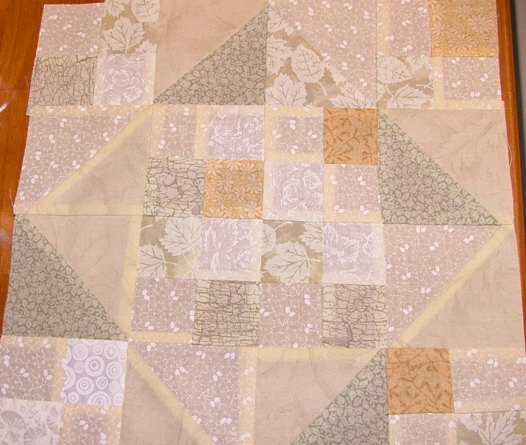 I had lots of scraps in the beige tones, but not enough for the larger squares, so I decided to modify the layout to use the fabrics I already had. 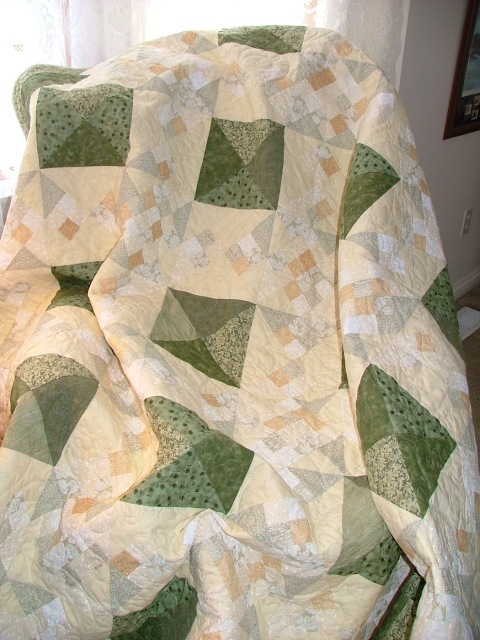 By adding shades of green for the larger squares, I created my White Chocolate with Mint Quilt. 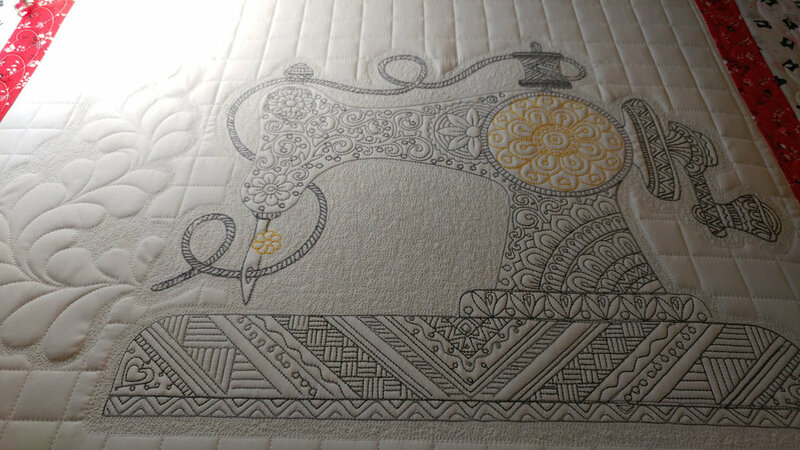 The first step was to piece lots of fabrics together on the longarm machine to create strips that could be cut into squares. 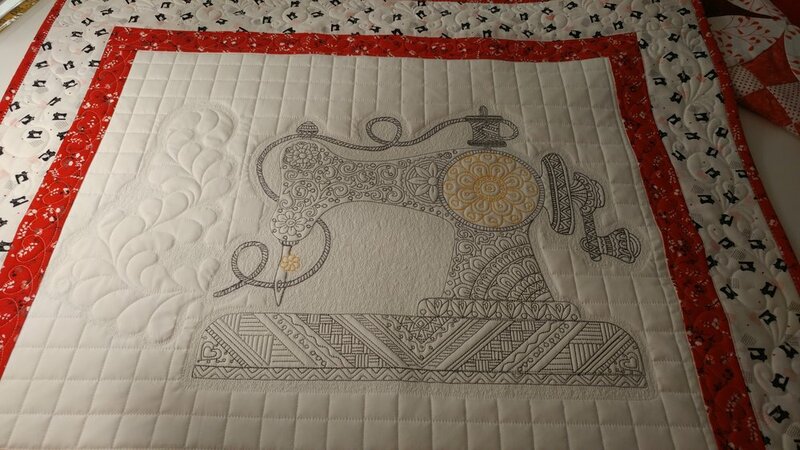 Next, I placed fabrics right-sides together on the longarm, and used a digital pattern to sew lots of half-square triangles together. After all of the cutting and pressing was done, the blocks were assembled. It took a large surface to try a few layouts -- arranging and rearranging until I found one that I liked. 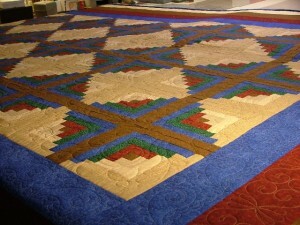 All of the large blocks and border were pieced, and then it was ready to quilt! You can click on the pictures below to see the steps I used for assembly. Each picture will open to a larger size when you click on it again. 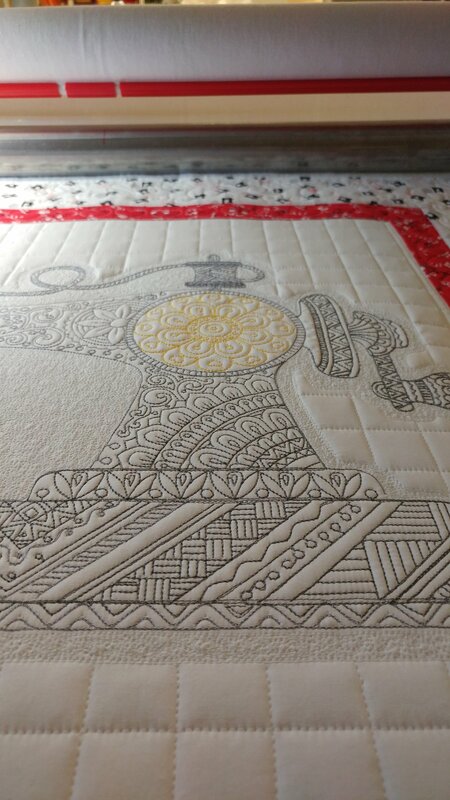 You can order the original White Chocolate Quilt pattern from McCall's Magazine. 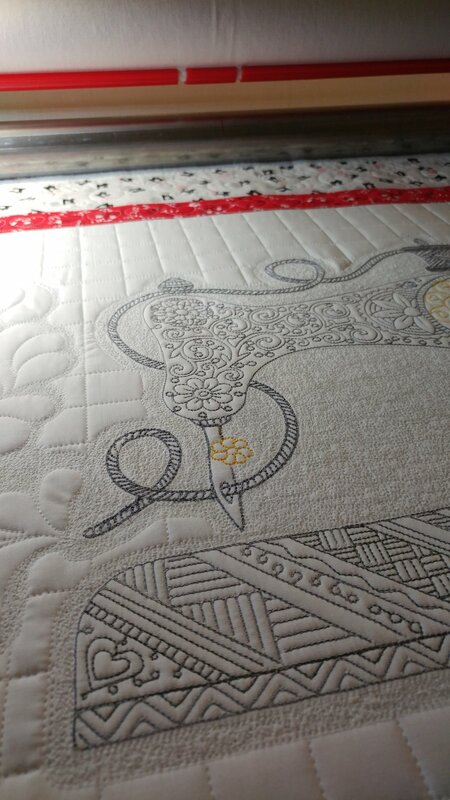 There is just something heart-warming about working with the 30's reproduction fabrics. 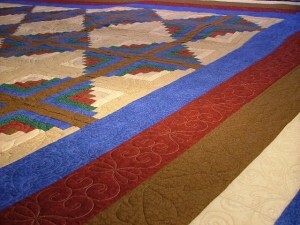 It can take me back in time to a simpler way of life, and I just love the colors! 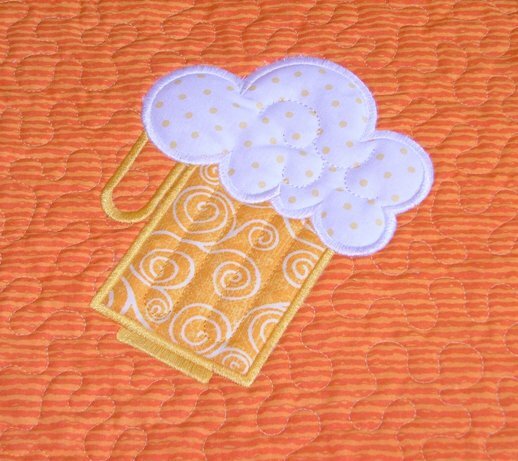 This quilt features one of my favorite colors. They called it "cheddar", and that name fits perfectly! 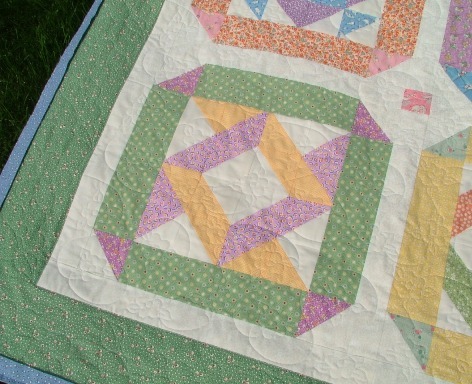 We added tiny hearts to the narrow green border, and hearts with streamers in the outer green squares. Just the right touch for a feminine feel! Next time you feel like taking a trip down memory lane (even if you weren't around in the 1930's! 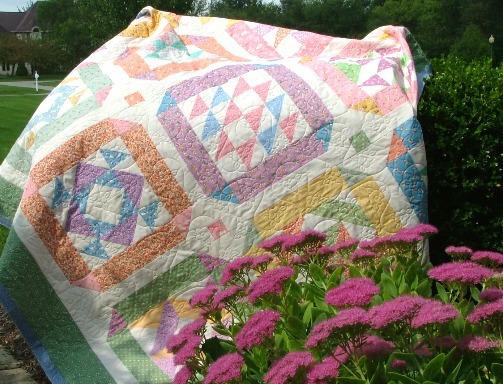 ), consider making one of the various patterns for all of the luscious reproduction fabrics that are currently available!